Art Monthlyseems to change faster than most people are physically and mentally able to keep up with, and therefore it is nearly impossible to stay up to date with everything going on in the contemporary art world. 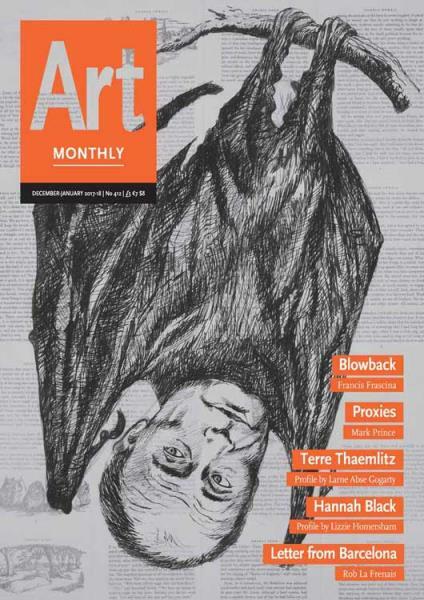 Buy a single copy or subscription to Art Monthly magazine. Contemporary art seems to change faster than most people are physically and mentally able to keep up with, and therefore it is nearly impossible to stay up to date with everything going on in the contemporary art world. With new artists appearing almost everyday from around the globe, new independent works popping up sporadically on almost every medium, and everything else related to visual art, it is quite difficult to find a good magazine that covers all of these topics in comprehensive and interesting manner. However, with the magazine you will be able to find all the cool and important things that are happening on the contemporary art scene, including new artists, new works, and reviews and criticisms of the most popular visual art from around the globe. I like the magazine and find it very interesting.